NKBA Mid Atlantic is the local chapter that brings together local Mid Atlantic Kitchen & Bath distributors, retailers, remodelers, manufacturers, fabricators, installers, designers, and other professionals – and provides a resource for local consumers to research, educate and connect with Mid Atlantic Kitchen and Bath professionals. Click here to visit the NKBA Mid Atlantic website. Enjoy Networking and Tour the showroom with a chance to talk with reps from a wide range of plumbing fixture suppliers. 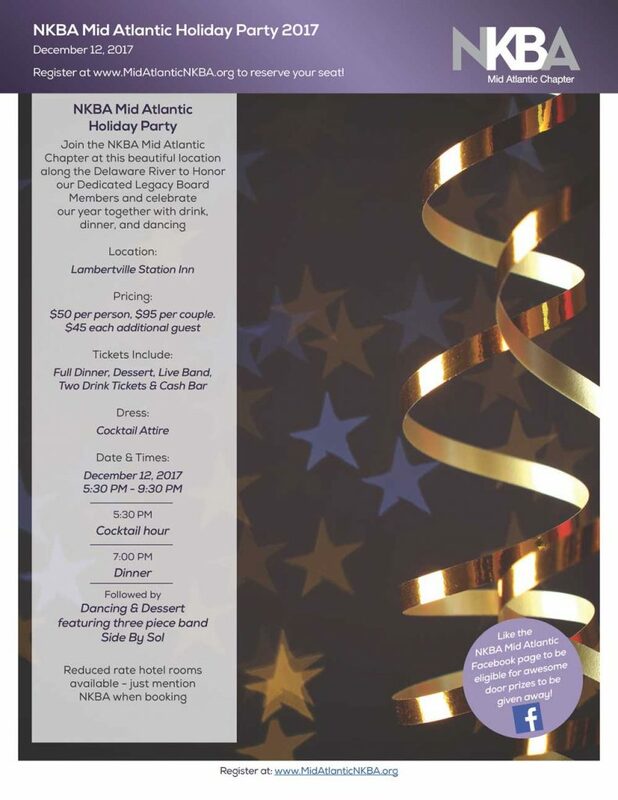 Interested in the NKBA MidAtlantic Chapter? 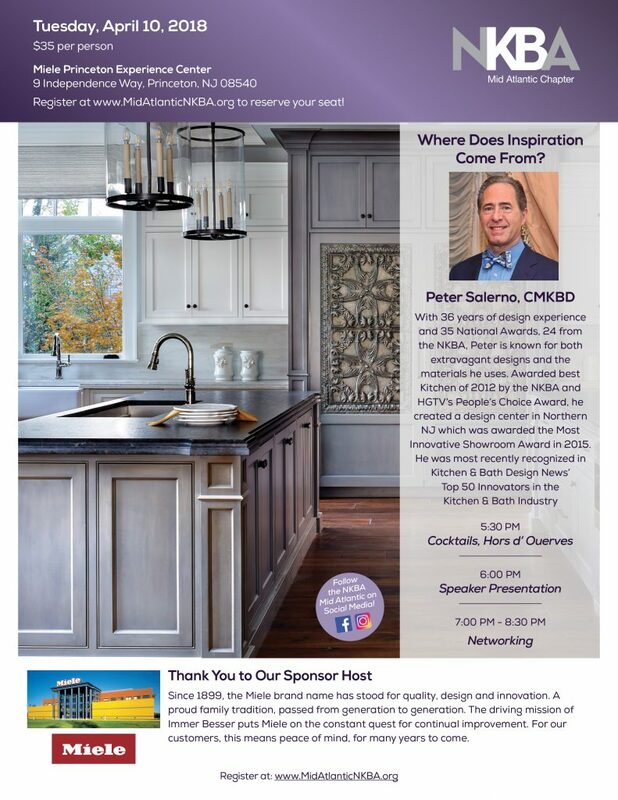 Please join us at no charge if you have not attended an event or meeting of the NKBA MidAtlantic Chapter. We invite you to pre-register to hold your place. Send full contact info name, address, email, and phone, name of company and position, and connection to the Kitchen & Bath industry to programs@midatlanticnkba.org before meeting. 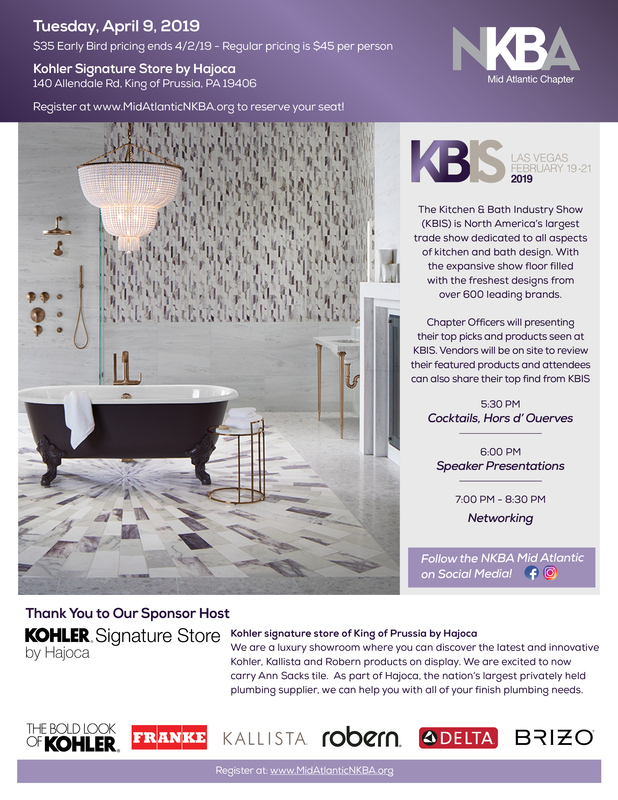 If you are a Student and would like to attend at no charge, then Email programs@midatlanticnkba.org your full contact info name, address, email, and phone, name of school and program, and interest in the Kitchen & Bath industry before meeting. 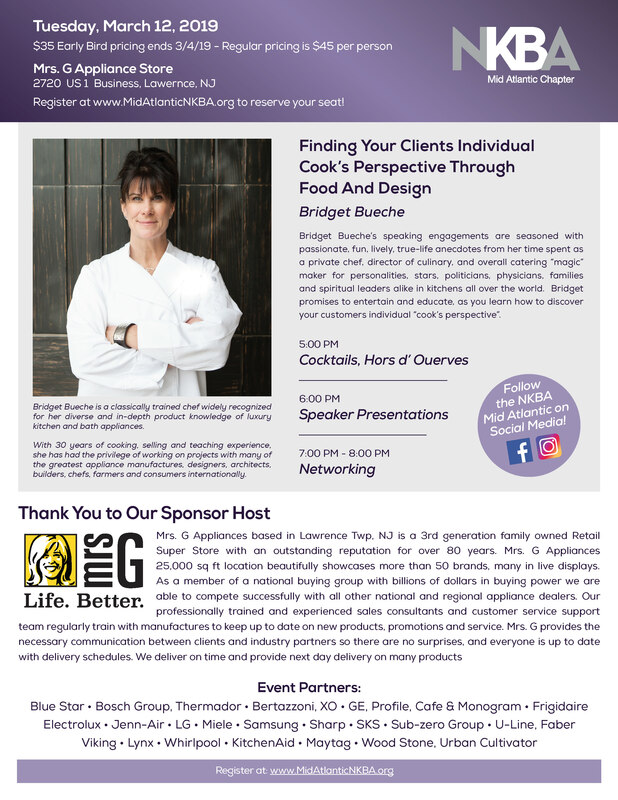 Join the NKBA Mid Atlantic Chapter on March 12th for our March Meeting hosted and sponsored by Mrs G’s Appliances. The Lutron Pennsylvania Experience and Training Center delivers residential lighting control and electronic shading systems in a beautiful, 2,000 ft2 (186 m2) showroom. Every space in the center features elegant seeTouch keypads, which can change the ambiance of a room with a touch of a button. The center also features a stunning hospitality suite customised with Lutron controls to create a beautiful, comfortable, and personalized experience. 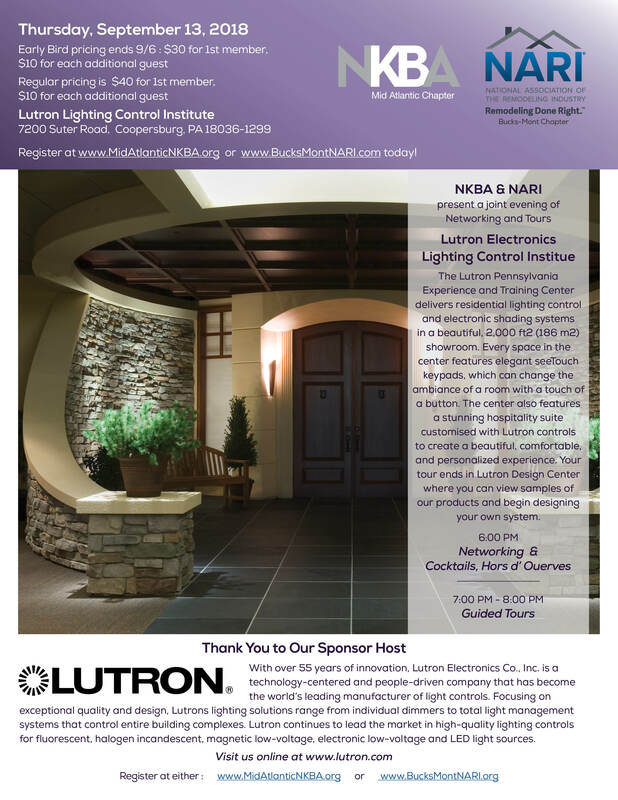 Your tour ends in Lutron Design Center where you can view samples of our products and begin designing your own system. 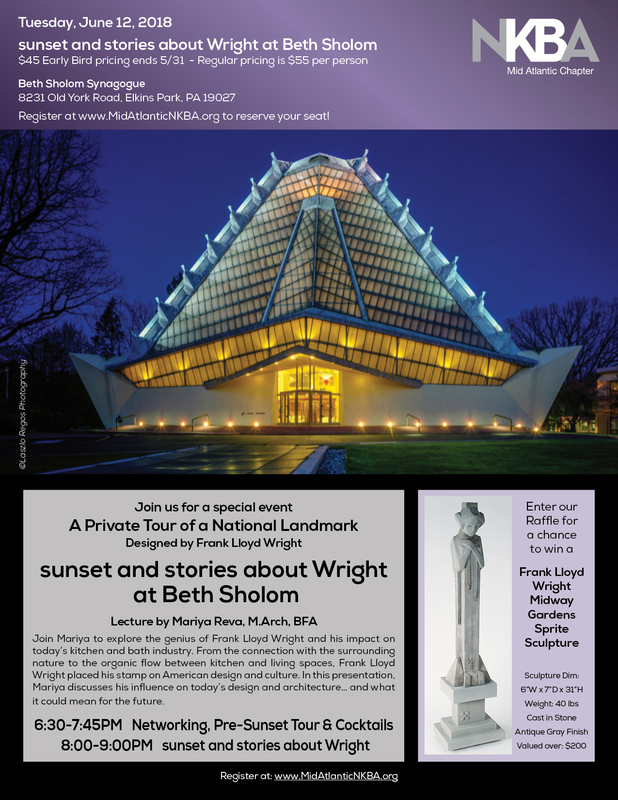 Join Mariya to explore the genius of Frank Lloyd Wright and his impact on today’s kitchen and bath industry. From the connection with the surrounding nature to the organic flow between kitchen and living spaces, Frank Lloyd Wright placed his stamp on American design and culture. In this presentation, Mariya discusses his influence on today’s design and architecture… and what it could mean for the future. 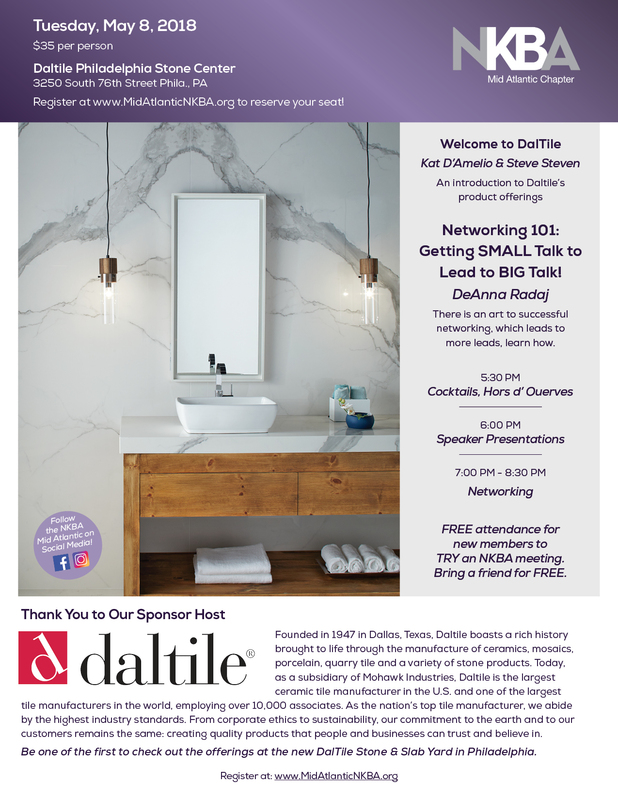 NKBA Mid-Atlantic Chapter May Event will be hosted by Daltile at their new slab yard in Philadelphia. You’ll have a chance to Tour the new slab yard, Learn about working with the Large format Porcelain Tiles, and Hear speaker DeAnna Radaj’s presentation about Successful Networking. Are you a student? If you’d like to attend you must register via email. Please send an email to info@midatlanticnkba.org Include your name, email, phone, school, program that you are enrolled, and tell us what program that you’d like to attend. We’ll confirm and put your name on the attendee list. 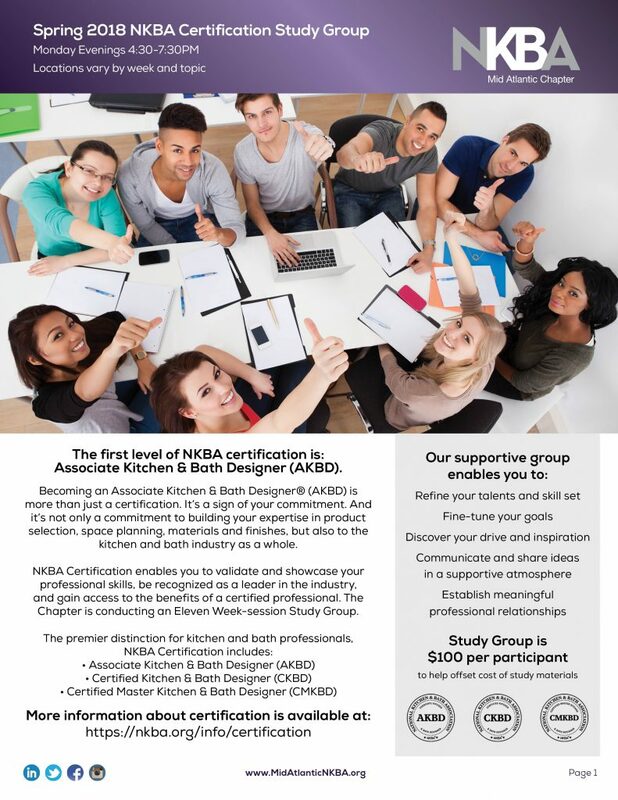 NKBA Mid Atlantic Chapter Certification Study Group starts March 12th! Don’t miss this great opportunity to prepare for the exam and get to know fellow Chapter members. Study Group will meet on Mondays, starting on March 12th for our Orientation and run through May 21st. All members are welcome to attend and learn more about the study group but we do ask everyone to register. Locations will vary and start time will finalized with final registrants. There will be a one time fee of $100 to help defer the cost of materials and food collected at the orientation. If for some reason you cannot attend, we will not offer refunds for this study group. If you have missed the orientation and would still like participate, then please reach out to our Programs Chair Katy Pellegrino Retzbach at programs@midatlanticnkba.org. The first level of NKBA certification is: Associate Kitchen & Bath Designer (AKBD). Becoming an Associate Kitchen & Bath Designer® (AKBD) is more than just a certification. It’s a sign of your commitment. And it’s not only a commitment to building your expertise in product selection, space planning, materials and finishes, but also to the kitchen and bath industry as a whole. NKBA Certification enables you to validate and showcase your professional skills, be recognized as a leader in the industry, and gain access to the benefits of a certified professional. The Chapter is conducting an Eleven Week-session Study Group. 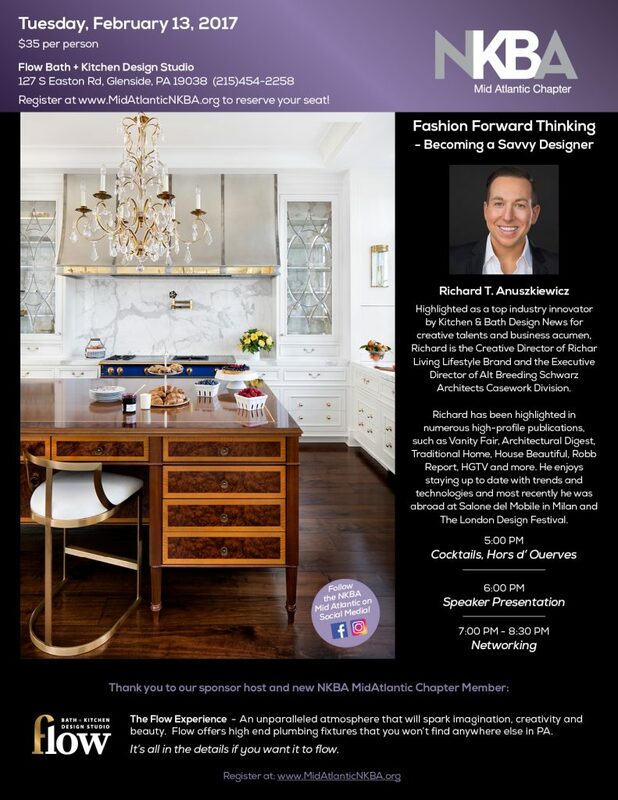 Join the NKBA Mid Atlantic Chapter for our exciting February event at Flow Bath + Kitchen Design Studio in Glenside, PA.
Join the NKBA Mid Atlantic Chapter at the Lambertville Station Inn, a beautiful location along the Delaware River to Honor our Dedicated Legacy Board Members and Celebrate our Year together with drink, dinner, and dancing.